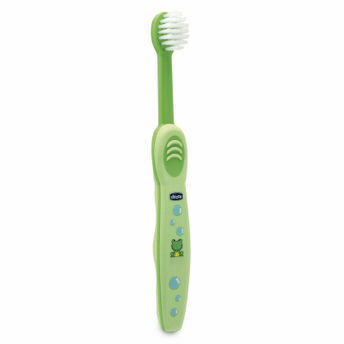 Chicco's toothbrushes, with extra-soft tapered bristles and ergonomic handle covered in sfot, non-slip rubber is especially designed to take care and cleanse baby's teeth and gums in the most delicate way. 6M+ Cleaning: At around 6 months of age, sometimes before, the first milk teeth come through. For this reason, the oral hygiene is more and more important, day after day.